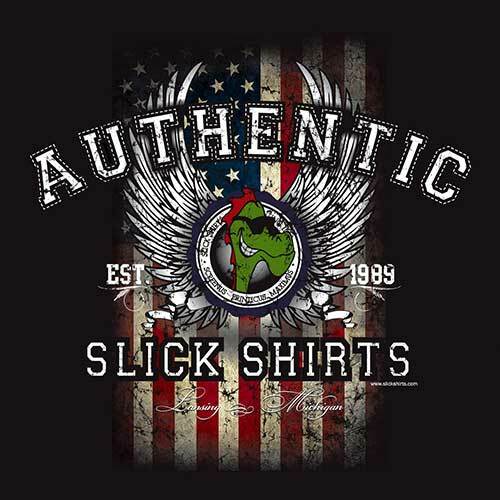 Slick Shirts Screen Printing and Embroidery is a highly qualified custom t-shirt and apparel decorator located in Lansing, Michigan. 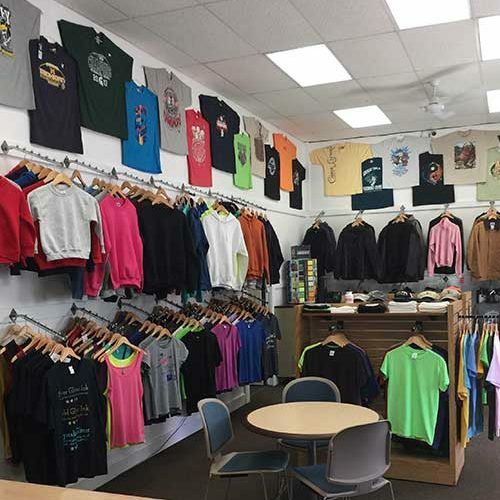 We have been servicing all of Michigan since 1989 with exceptional quality screen printing, embroidery, and promotional products. We pride ourselves on customer service, attention to detail, and overall highest quality in the industry. We stand behind our work. Please give us a try! Most orders within a two week time frame (often less than ten days). 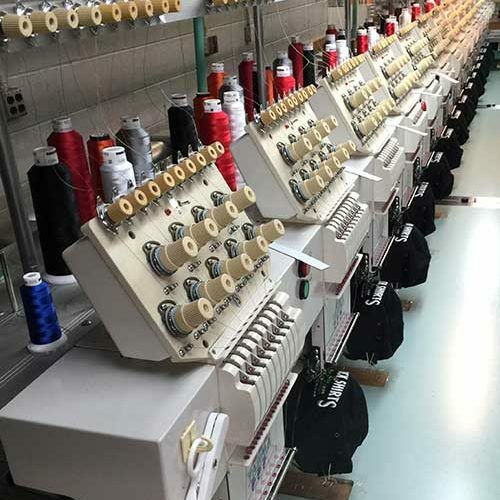 Embroidery orders may require extra time. All other promotional products will be given a delivery timetable on a per-order basis. 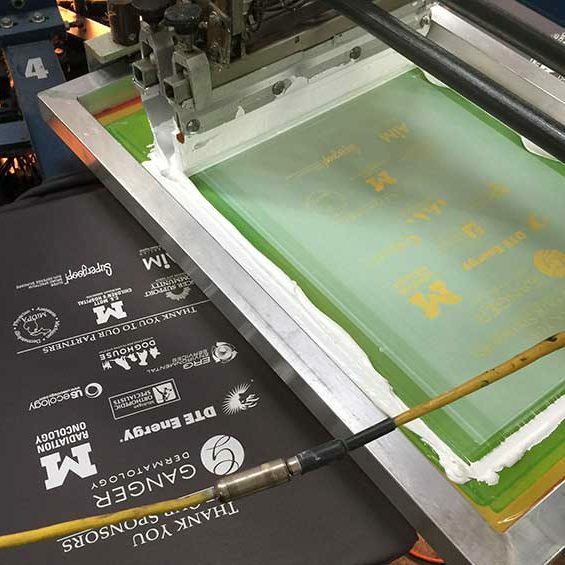 Screen Printing is a great way to spread your message and increase your brand awareness. At Slick Shirts Screen Printing Inc. we have a full art dept. to help you achieve the look your going for, just check out our screen printing services and image gallery to help inspire you. 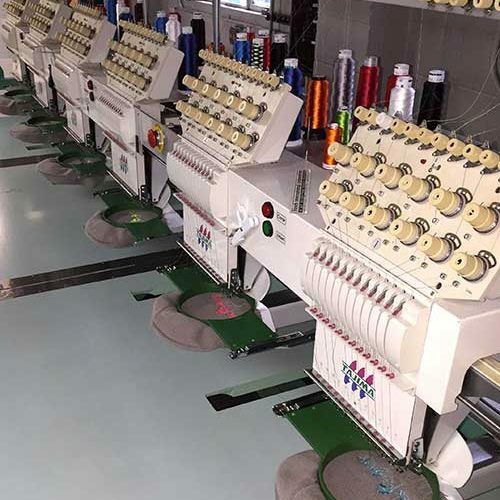 Our Embroidery services are a great way to achieve a professional, sophisticated look for any business or corporation, we have a wide selection of premium apparel and headwear to choose from Just visit our embroidery page for more information and a gallery of work we have done. Promotional Products with your company’s branding is a creative and cost-effective way to increase sales and create brand awareness. 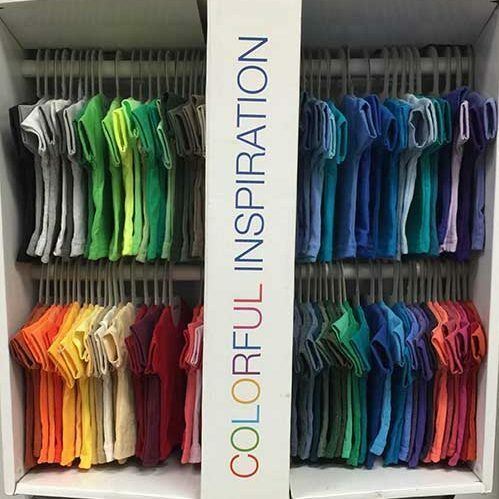 Look around at the thousands of products Slick Shirts has to offer for any project you may have. Slick Shirts has always delivered a quality product to us. They are professional and courteous. They are a pleasure to do business with. Great people to work with and always deliver on time! This place is great! If they can deal with our back and forth decision making process they can deal with anybody! Our shirts came out great and we will absolutely be going back for all our future print needs. I have been getting my business shirts done here for years. Everyone is friendly, prices are reasonable and great quality! Also turn around time is fast as well! Check them out you won’t regret it. Just wanted to send a “Shout Out” to Kevin and the staff at Slick Shirts! My granddaughter needed a special T-shirt for one of her special days for “Spirit Week” at Waverly High, so evan calling at the last minute, this company went WAY out of their way to help get her a T-Shirt! They were great and never made me feel like I was imposing on their schedule!! !